I understand that a registration/supply fee is required for each class my child is registered for and is to be paid before my registration will be processed. I understand this fee is refundable ONLY if my child cannot be placed. 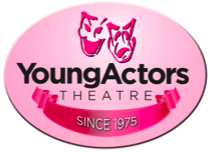 I give consent for my child's participation in all YAT activities and hereby release Young Actors Theatre, staff, volunteers and representatives from all liability deriving from such activities. I understand my photo can be released for promotional purposes.